This bright red cardinal says 'Hello', while listening to the colorful leaves rustling behind him. He seems like he's curious, but would take off in a flash! 14" x 11" original acrylic painting. 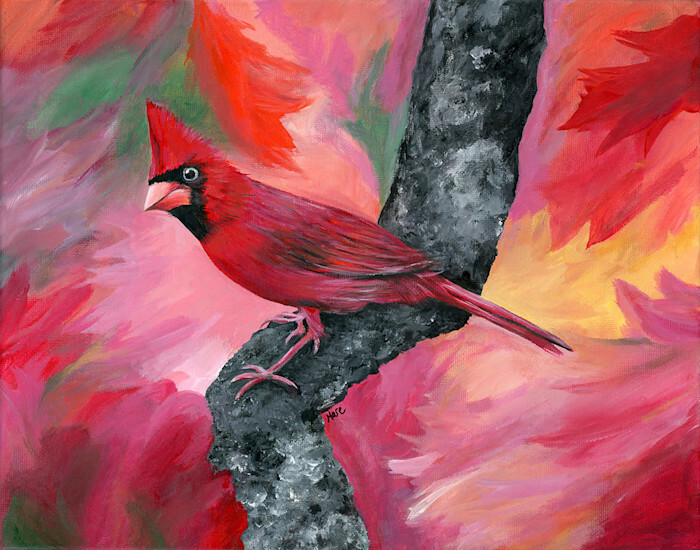 One of the only ways to find the cardinal is by their beautiful song, so I knew I had to paint him to keep getting a good look! One of my favorite bird songs, the cardinal is very difficult to photograph, so I knew I had to paint him to keep in time.